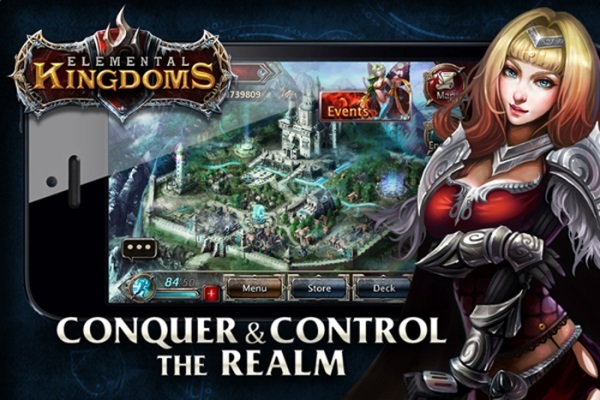 Elemental Kingdoms is Perfect World Entertainment Inc.’s first foray into the mobile market where you get to battle with monsters/people of various types in a “modified” CCG battle system. The game starts off with your character being sent on a mission ala- Lord of the Rings: The Two Towers style by requesting help from the nearby kingdoms to prepare for the oncoming horde. The game progresses forward as your band of merry men/women are trying to reach said kingdom, but along the way you are faced with enemies that test your deck capacity to progress. The game’s single player campaign serves both as its tutorial and its introduction to the world and would later on provide extra add-ons that would serve as your way to improve the card roster you have while also introducing you to battling in-game as well. Enchanted Kingdoms in its core is an eCCG all the way. 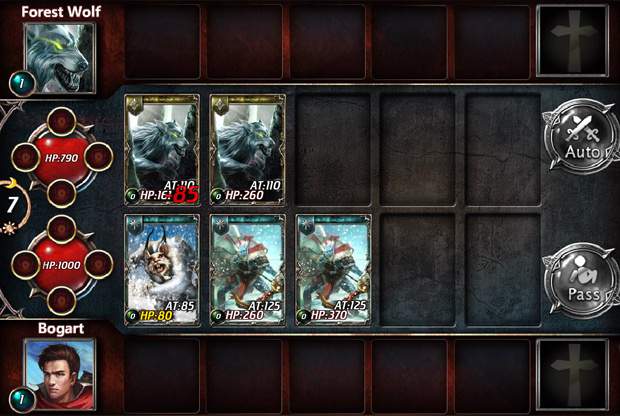 You go around getting cards for your deck which serve as your minions through the game’s single campaign. Each card that you possess has 3 values on it. The first being it’s rarity which is represented by a star that can be found on top of the card. The other two would be its attack value and its HP value. Battles in EK revolve around eliminating your opponent’s deck, or getting their Hero’s HP value down to zero. This system should be familiar for anyone knowledgeable in Yu-Gi-Oh. 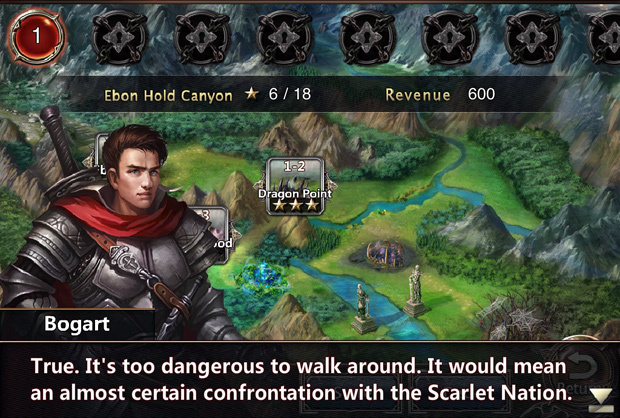 The game mechanic consists of a turn-based interchanging of attacks from both sides. 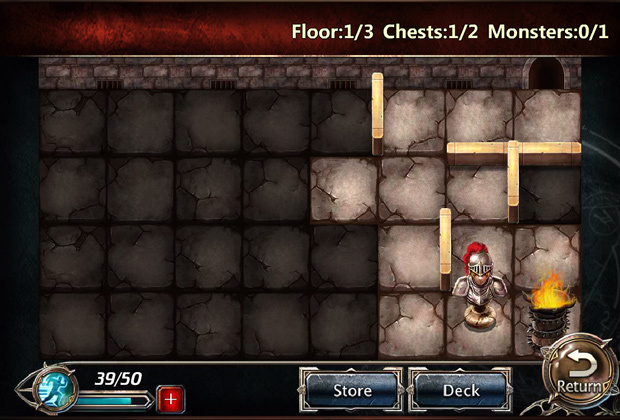 First attack is dependent on the player who is able to put down a unit first. The damage cards deal out is relative to its attack value before the attack happens, while the toughness of a card is represented by the HP value the cards have. 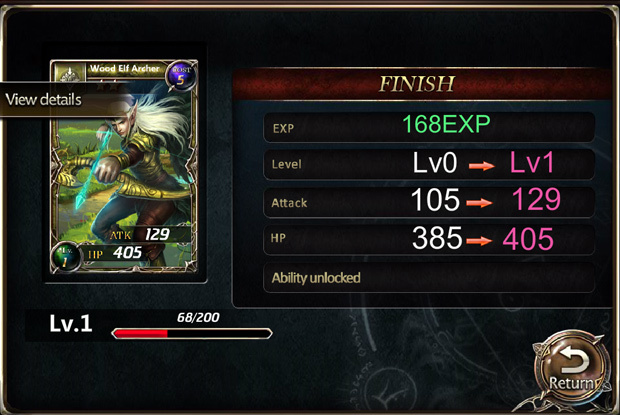 Aside from the conventional attack-hp system, EK also uses card skills in the mix. Some abilities would heal cards or the player, deal extra damage, life steal or even lessen the damage units get from opponent attacks. Aside from card skills, EK also has a rune system in place where you, the player, will get to participate in battles in the form of rune attacks. You are allowed to equip 4 runes (which are unlocked on certain levels) that would be activated after certain conditions are met. 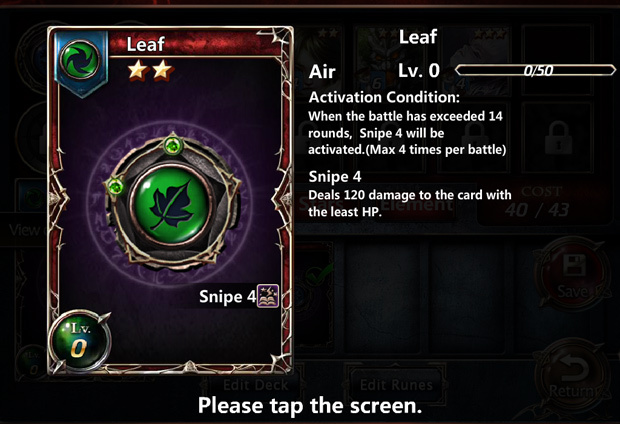 Rune effects vary in terms of disabling cards or downright attacking them. They provide more attack options and are a great way to disrupt attack rhythms your opponent has planned. 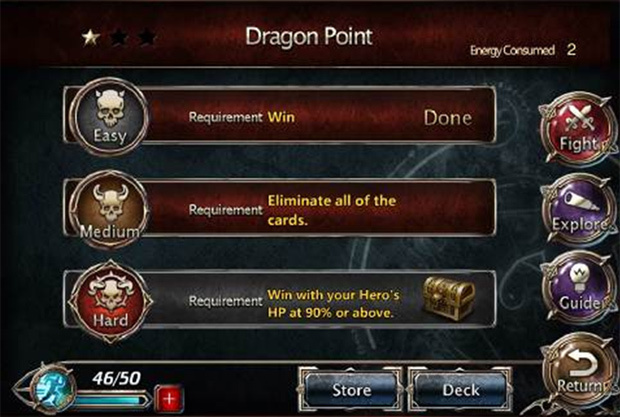 Aside from the game’s single mission system, you can go to the arena and face other players and their decks. The game systems are essentially the same in PvP as they are in PvE, but you’re limited from by a 10 minute timer between every PvP match you can play. Arena battles serve as the game’s post-game completion feature and would be the main thing you’d spend your time on once you are done with the single player campaign. 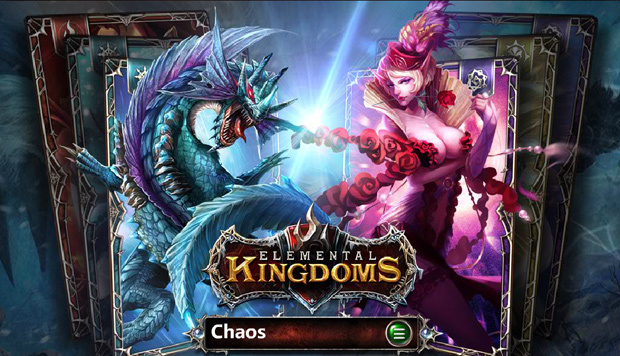 Like most eCCGs, Elemental Kingdoms provides you a chance to enhance your cards to give them stronger attacks and unlock skills that are critical in deck building. As I mentioned earlier, cards have other skills aside from the inherent abilities that are present on them upon acquisition. Aside from their initial unlocked ability, Cards have other extra skills that are level locked. Also, each card has a level cap of 10 and each card has its own type that serves as the game’s affinity/element categorization. Runes on the other hand can also be enhanced in the same fashion as cards are. However, runes only get stronger attacks and no extra abilities. As far as things go, Elemental Kingdoms is a surprisingly enjoyable and challenging game to play. With its unique gameplay mechanics, it has put a new spin to eCCGs which I personally think the genre needs. I loved how the game doesn’t give you everything upon joining. You’re allowed to unlock game features as you level through the game and not on day one. This not only prolongs your game time – it also provides you with small goals that are achievable but challenging enough to encourage you to keep on moving forward. Also, the gameplay puts a lot more random elements in battles which make every battle an interesting romp in-game. Deck setups can only prepare you for so much. The game has plenty of comeback mechanics that can rescue you from the most dismal one-sided openings. Granted that means if you’re on the winning side you can never let your guard down. Another good thing about EK is the PvP is streamlined. Not only is it easy to find matches, you have a good number of people to fight against. Since this is an eCCG, the PvPing prolongs the game life more than any other elements. I also loved the random element (of drawing your cards) that the battle system has. 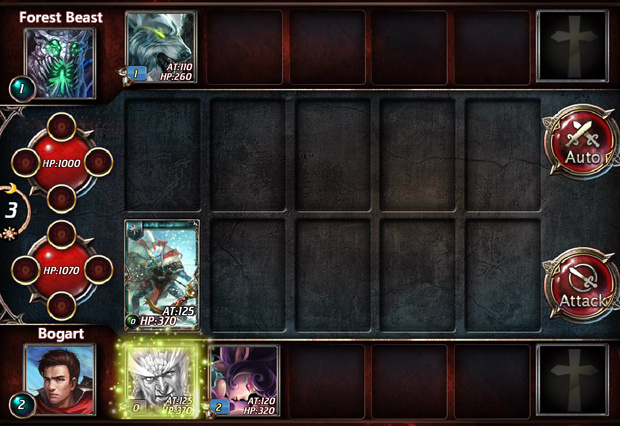 On the flipside of what I mentioned earlier, there were moments that you’d find yourself biting the needle on matches, only to have your team suddenly decimated as suddenly your opponent whips out his/her key card and decimates your team. All in all, Elemental Kingdoms is a good eCCG to spend time (and I daresay money) on. While the game can’t really tag itself as a one of a kind game for the genre (as one review I’ve found online says that it’s a complete copycat of SG game Elves Realm, but as of this posting I can’t confirm as of yet). The game has enough unique points that I’d highly suggest this game to anyone who’s looking for a diff. eCCG experience. Editor’s Note: Today, November 21, 2013, marks the launch of Elemental Kingdom’s first tournament, the Thanksgiving Tournament of Champions. 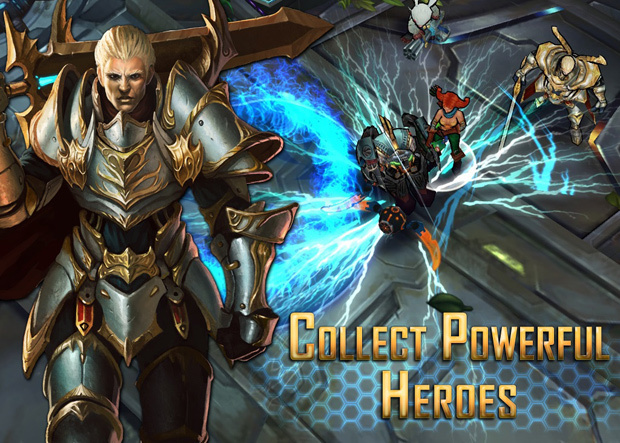 Download the game and join the action to win prizes between now and December 3rd. This game is actually really fun!